At the IPVS/ESPHM Congress 2016, HIPRA unveiled SMART VACCINATION, a completely new and revolutionary concept that combines technology, expertise and customer service. 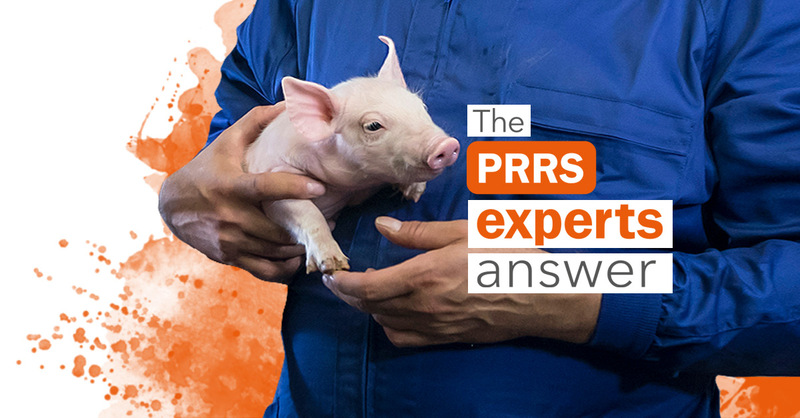 The idea behind this project is to offer customers maximum reliability (precision, control and safety) when administrating animal health vaccines. SMART VACCINATION opens up a whole new world of benefits that only the Leader in Prevention can offer. Specifically, it is based on combining three interconnected elements: highly innovative vaccines, vaccination tools and vaccination process management software. SMART VACCINATION is a multidisciplinary, multifactorial and multi-species solution developed by HIPRA to answer the important questions raised by customers concerning the vaccination process. 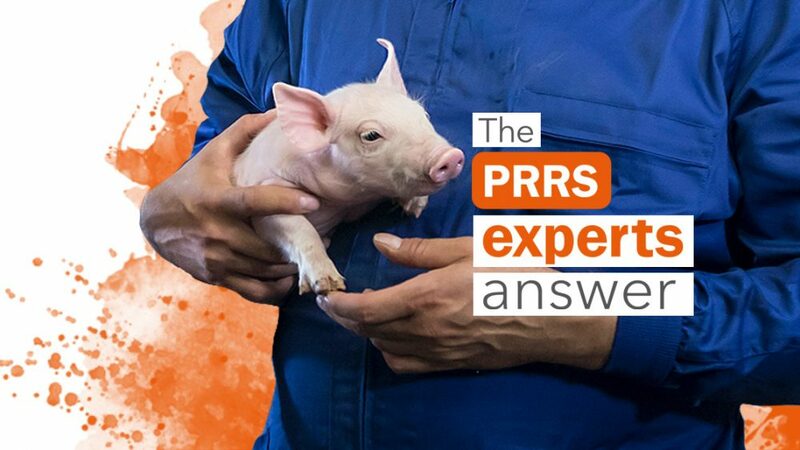 In pigs, SMART VACCINATION comprises three key components: the Unistrain® PRRS vaccine, the Hipradermic® needle-free injection device and the dedicated Hipralink® vaccination process information management software. Implementing SMART VACCINATION will enable users to receive accurate and practical information about the vaccination process, facilitating decision-making through enhanced monitoring, planning and data analysis. As it contains comprehensive traceability information (doses administered per vial, number of doses per vial, manufacturing batch and expiry date), RFID technology enables each and every vaccine vial administered to animals to be individually managed. As well as containing complete vaccine information, the chip also stores specific data and codes that can intelligently interact with Hipradermic®, the second key component of SMART VACCINATION. Hipradermic® is a new needle-free device with connectivity for HIPRA intradermal vaccinations. It is fitted with an antenna that can read the information contained in the RFID chip of each vaccine vial and link it to a specific vaccination session. All the data recorded by Hipradermic® can then be transferred to other Bluetooth® devices to analyse traceability data and to create a vaccination certificate. Precise injected volume (Hipradermic® consistently delivers 0.2 ml of vaccine with each shot). Precise dispersion profile and tissue depth (Hipradermic® has been designed to offer a suitable ID dispersion profile with a range of 60% paraffin in aqueous solvent). Optimal vaccine delivery on the surface of the skin (Hipradermic® ensures that the vaccine liquid is fully absorbed when the injector head is placed completely perpendicular to the animal’s skin). 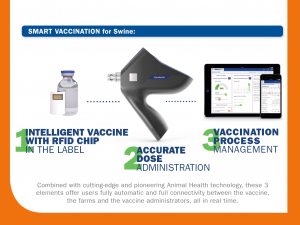 The third component of SMART VACCINATION is the Hipralink® management software, which is specifically designed to accurately and automatically collect, analyse and trace complete HIPRA vaccination data throughout the vaccination process. Through SMART VACCINATION, HIPRA can offer its customers fully automated, basic vaccination information thanks to full connectivity between the vaccine, farms and the vaccine administrators (veterinarians and farmers). This information represents significant added value, not just because it offers substantial time savings in information management, but also because it provides reliable data to facilitate financial decision-making.